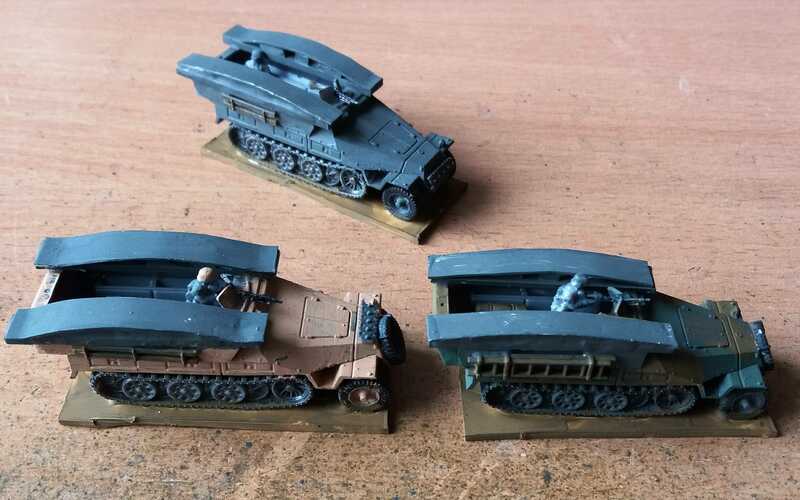 My engeneers needed some vehicles so I've used some PSC Sd Kfz 251 to build these from scratch. The bridges are plastic card. It's a pitty that it didn't work out well with the endparts of all the bridges. 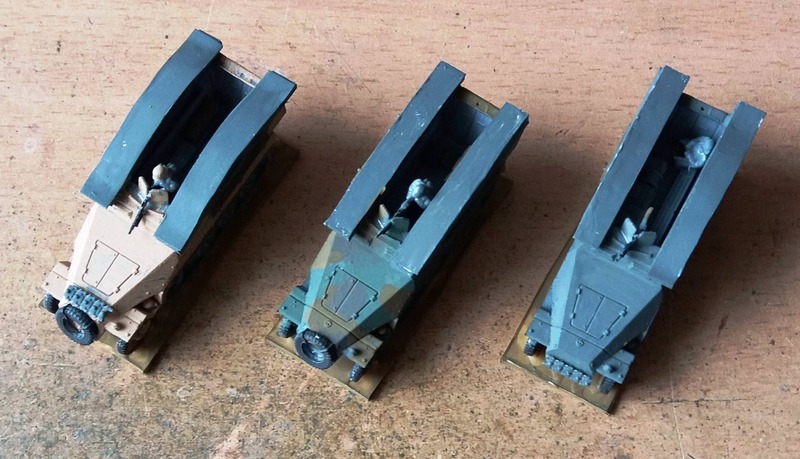 You got the shape of the bridge parts quite well Peter.